There are many different ways to approach how you play Magic: The Gathering. I feel that most Legacy players are competitive. Not in the sense of winning at all costs, but that they generally understand the holistic idea of how Magic: The Gathering is played. So why does someone like myself, who is naturally competitive and a relatively decent player, always play a deck that is not considered to be the best? If you want to win you should put yourself in the best position to win. Deck selection plays the biggest part in this formula and yet I will always play Goblins. I know that Goblins is not a bad deck. With Miquez Hadley’s recent 11-4 finish at GP Richmond and my own past success at the first City Championship of 2018, the deck has legs. However, as much as I wish it was a top tier deck, it is not. Also, as much as I wish it were a top tier deck, I am glad it isn’t one. I’ll go more into that later. 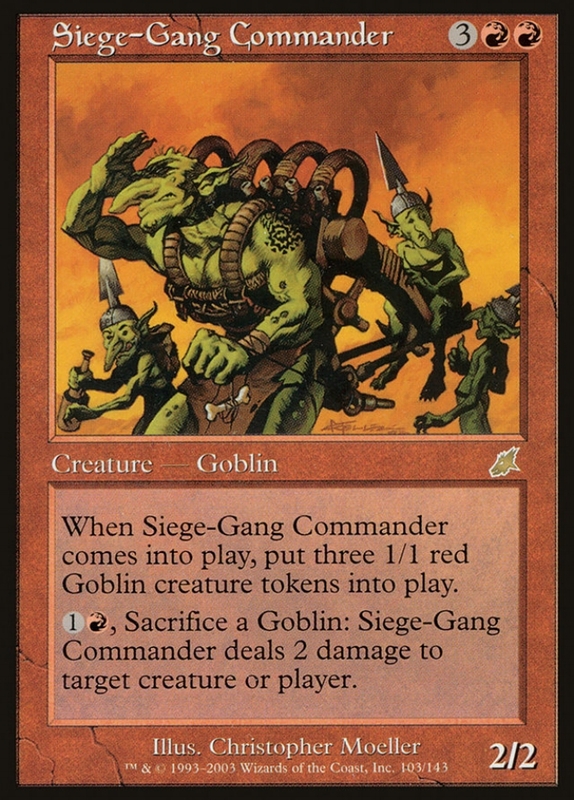 Goblins, to me, is more than an uncounterable turn 1 Goblin Lackey into turn 2 Siege-Gang Commanders (While that does feel great). Goblins to me is exactly what you’d imagine from somebody that plays one deck for multiple years. It is an embodiment of my self-expression. Is that good? Is that bad? I have no idea. I do know that there is something extra I get when I play goblins than if I play Sneak and Show or Miracles or any other well positioned Legacy deck. First, I am much better at piloting goblins than any other deck. This makes sense with how many games of magic I have played with the little green men. However the idea that if I played just as much with a “better deck” I would be just as good remains true. Yet, I can never find myself to switch. The interactions, decision making, lucky moments and ruthless punishment the deck gives is something that has come to define Magic: The Gathering for me. 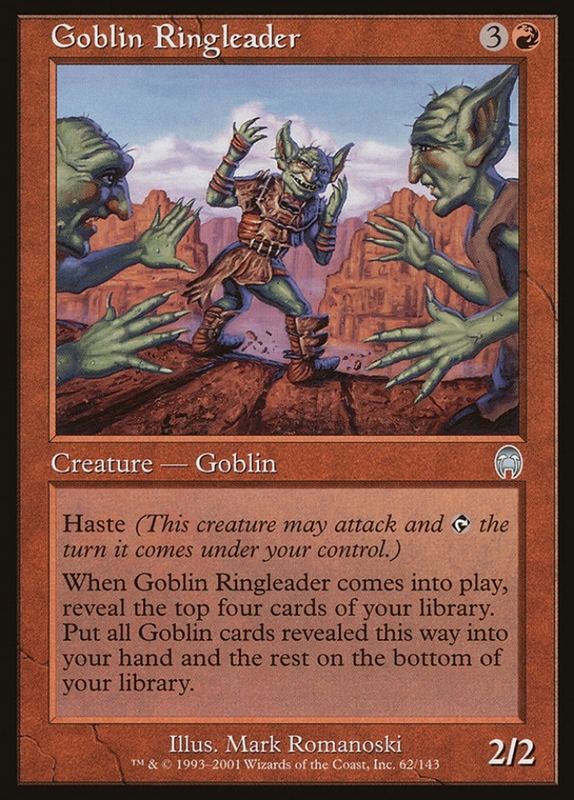 I honestly don’t feel like I am playing Magic unless I have Goblins in my hand. The stage that I want to perform on is much smaller. I would rather be the best Goblins player in the room than the best Magic Player in the room, because that means so much more to me. There are so many people that do well in magic tournaments every week. Yet there are only a few that do well with my deck. I stand out among the community that I care about if I can do well and that is where my drive to compete comes from. 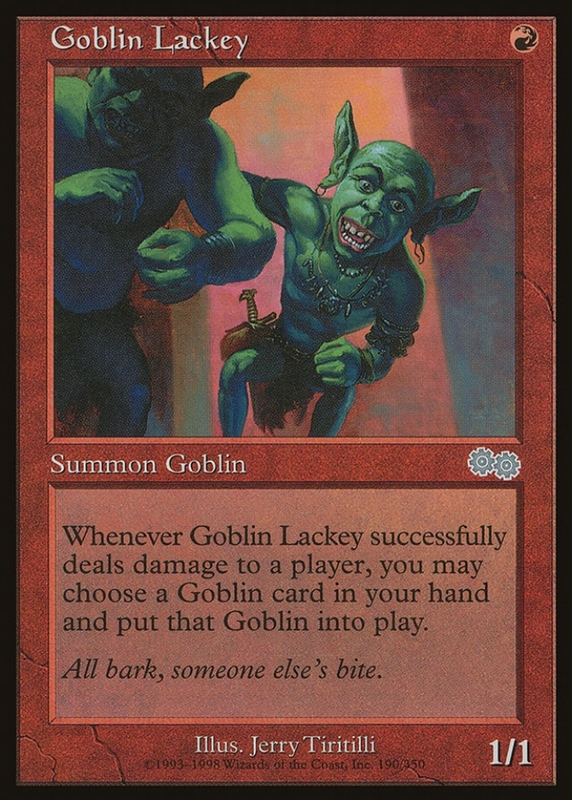 This is why I don’t feel like I am playing Magic: The Gathering if I don’t register 4x Goblin Lackey on my deck list. My drive to do well in the tournament diminishes. If I do well with this other deck then I let myself down by not seeing how well I could have done with Goblins. To me, Magic: The Gathering IS Legacy Goblins. So what is the end goal? What if I do well with Goblins because something changes and it becomes the Tier 1 deck it deserves to be? Well then the reactions I would get when I play my Lackey isn’t that of astonishment it would become a resounding groan from my opponents tired of playing against the same top tier deck (A deck that I feel is incredibly fun on both ends of the table). I never want to be “that guy.” I like hearing “Oh you’re playing goblins? That’s awesome.” Because goblins ARE awesome. If this did happen I would still revel in the good old days of when goblins wasn’t great. Knowing that I was truly dedicated to the way this deck symbolized my own self-expression. Not dedicated to the power level or position in the Meta. Magic: The Gathering has so many ways to be enjoyed and this is just my story. I am sure there are many like me with an extreme devotion to their favorite deck. And this is what makes Magic: The Gathering truly great.